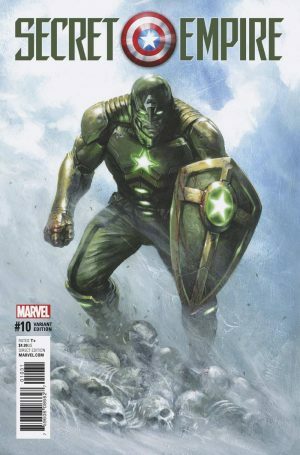 Marvel Comics Legacy & Secret Empire #10 Spoilers: How Does Nazi Hydra Captain America / Steve Rogers Change Reality & History? 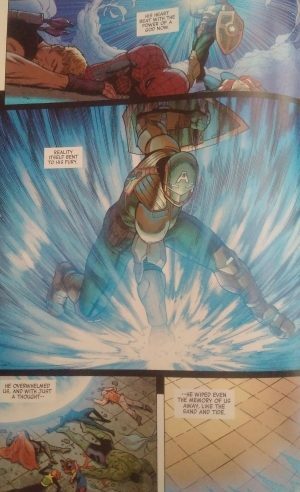 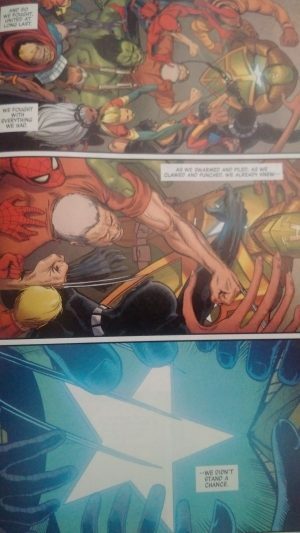 Marvel Comics Legacy and Secret Empire #10 Spoilers follow. (4) before the reveal of the cunning plan by Sam Wilson and Bucky Barnes to defeat Hydra Cap (spoilers here)…. …Hydra Captain America uses the piece of the Cosmic Cube he has powering his armor to change reality again. 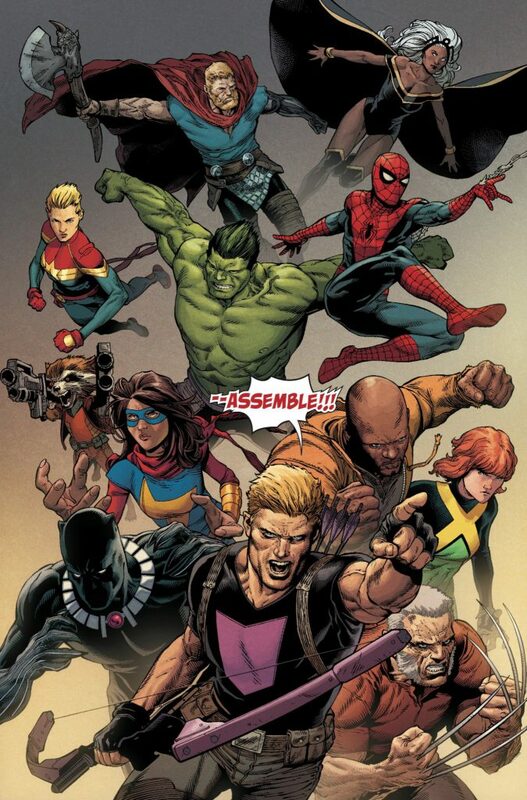 …with the Avengers in his midst evaporated! 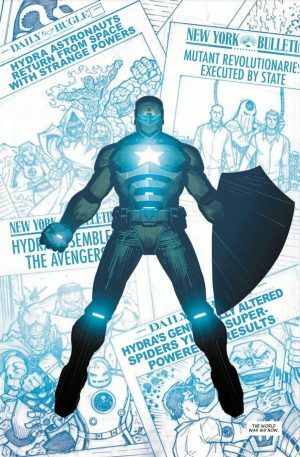 The headlines behind Hydra Captain America speak to Spider-Man, X-Men and more and their fates in this new and soon to be short-lived reality.